A Roman barista, dressed in a fetching bow tie and burgundy vest, drags a porcelain saucer across the counter towards me. 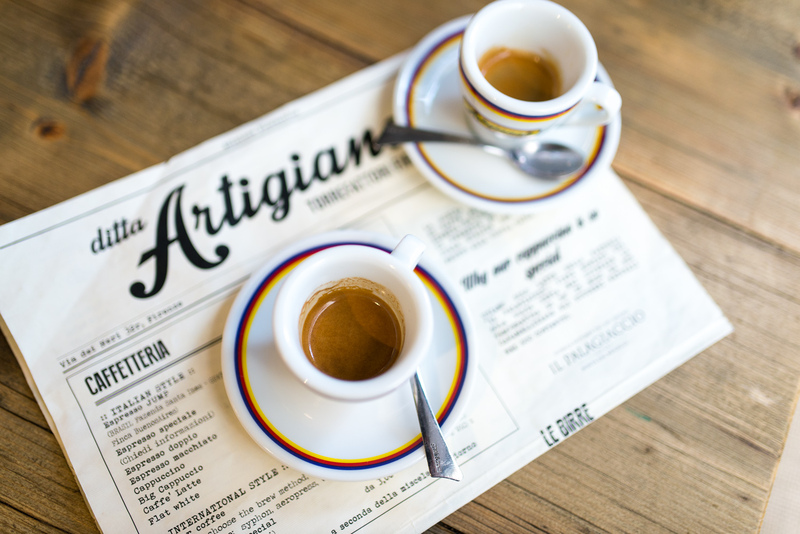 Around him, Italians storm..
Ditta Artigianale is one example of a nascent trend in Italy: a specialty coffee shop in Italy, a country where coffee is “espresso” by definition and filter brewing..
Whoa. Our friends and partners at Dalla Corte Espresso Systems put together a video and nobody here was prepared it. Its sheer out-of-left-field brilliance left us all at Sprudge.. The 2014 World Aeropress Championship went down last week in Rimini, Italy, during the global coffee hubbub of the World Barista Championship. The event happened at..
Meet Your 2014 World Barista Championship Semi-Finalists! Meet the 2014 World Barista Championship Semi-Finalists! They’ll compete against one another on Wednesday, June 11th beginning at 10:00AM Central European Time Zone (UTC+01:00) – convert this to your local time.. This is your quick reference schedule for Semi-Finals at the 2014 World Barista Championship, hosted by World Coffee Events in Rimini, Italy. Your official WBC Livestream is available here. All times..
From an opening field of 54 baristas, we’re now left with just 6; these are your 2014 World Barista Championship Finalists. Rare air indeed, with.. The hash tag WBC 2014. .. This is your quick reference schedule for Round One of the 2014 World Barista Championship, hosted by World Coffee Events in Rimini, Italy. The opening field includes 54 baristas total, each..
Buongiorno! And welcome to Sprudge.com’s coverage of the 2014 World Barista Championship, live from Rimini, Italy. This is our fifth (!) season of covering the..
It’s finally time! The 2014 World Aeropress Championship is here! In a little over three weeks, the world coffee community will descend on Rimini, Italy..